When I started my at-home job search back in 2007, I asked my friends, past co-workers, and employers if they knew of, or if they had any work from home opportunities available for me. My persistence paid off when my good friend said that she needed some marketing research done for her company. I started off by doing online research, then moved up to affiliate acquisitions, and then I became their social media manager. A couple of years later, I started my blog. Turned out that I loved marketing and advertising! While I am no longer freelance as a social media manager, I still use marketing every single day in my blogging business. 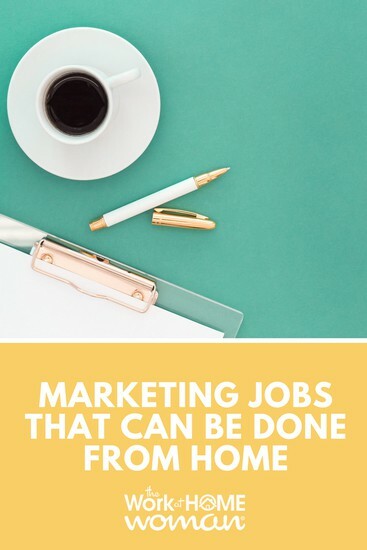 If you have a marketing degree, enjoy writing or blogging, or are well-versed in social media there are tons of work-at-home marketing jobs available. Affiliate marketing is a rapidly growing field—and there are a couple of ways you can get involved. First, you can promote brands and companies via an affiliate relationship through your blog, website, newsletter, or social media channels. Even if you don't have a website or email list, there are ways to get involved with affiliate marketing — this post here covers the details of not having a website. As an affiliate marketer, you will make money when an individual (a customer) takes an action (purchases something or signs-up for something) from your affiliate link. Don't think you can make good money with affiliate marketing? Michelle, the blogger behind Making Sense of Cents earns over $50,000 a month through affiliate sales — you can read her story here. Copywriting is one of those terms that you hear, but don’t really know what it is. First of all, it has nothing to do with the legalities of “copyrighting” books or documents. Instead, copywriting is creating persuasive copy for promotional projects: scripts for television commercials and radio ads, magazine articles, website pages, white papers, newsletters, video scripts, catalogs, and various other written promotional pieces. The majority of copywriting gigs are freelance positions (where you get to work from home), or agency positions which tend to be in-office positions. To learn more about copywriting check out our post here. Digital and email marketers use their marketing skills to write, design and create emails and digital marketing materials to reach a target audience and generate leads. Typically, digital marketers work with a close eye on stats: open rates, click-through rates, impressions, and sales. They know how to create eye-catching materials that get clicked and read (and even shared). If you have marketing experience, expertise in a niche and a firm grasp of marketing terms and analytics, digital marketing may be a great fit for you. Marketing analysts study the consumer market for their company and help the company with guided choices and strategic decisions. While analytics are a numbers game, many marketing analysts also pour over text and research to determine if it fits their market. If you’re great at organizing information, understanding statistics, and plotting out marketing strategy, the role of marketing analyst is a lucrative job option. Companies often hire marketing generalists, sometimes called marketing assistants—to handle several aspects of marketing. They may be excellent at copywriting, email marketing, SEO, and digital strategy. Marketing generalists are often key players on a company’s marketing team because they fill in several roles and may also lead projects, organize an approach, or oversee digital marketing assignments. Marketing generalists are often good at understanding analytics—both digital analytics and market analysis. Public relations coordinators understand how to use a company’s platforms such as online, print, and broadcast media to put a company's best face forward to their target audience. Many people think of a public relations coordinator as someone who handles a crisis or helps a company present a positive side to a story when they’re in trouble. In reality, public relations coordinators help companies through their good times too. PR specialists may help during product launches and events, assist with new campaigns, and regularly focus on boosting a company’s media profile, or position in the community. Most public relations coordinators hold a bachelor’s degree in journalism, communications, business or language. Social media managers do more than simply post updates to Facebook and Twitter. They often manage a company’s social media portfolio and online image. They design advertisements, plan campaigns, and set strategy. They may be in charge of specific social media areas or manage all the company’s social media accounts. They often understand analytics and may have a specialized background in a certain area such as Pinterest, LinkedIn, Instagram, or YouTube. A search engine optimization (SEO) specialist understands how to boost a company’s online presence so they're easily found via search. This may mean creating new, optimized content, updating existing content, or adjusting content and strategy to roll with search engine changes and updates (which are frequent). SEO specialists have an in-depth grasp of analytics and understand how to view search trends to produce targeted results. If your background is in marketing, you’ll find plenty of work-at-home jobs available. As technology and online communication evolve the marketing industry will only continue to grow. For more remote marketing jobs, check out this post from Women Digital Nomads. 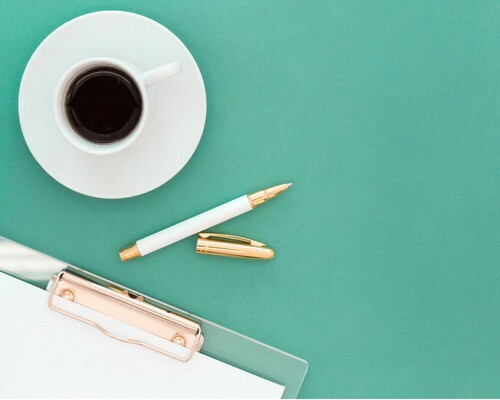 If you enjoyed this article, sign-up for The Work at Home Woman's weekly newsletter here — it contains new job leads, ideas, tips, and strategies for managing your work-at-home home life. Do you have a marketing job that you can do from home? If so, drop us a note we'd love to hear about it. Great choices. I am specializing in copywriter and am loving this area. Glad you enjoyed the list of marketing jobs!